This is the first time I have ordered something like a dress on-line. The dress came very quickly and is even more beautiful than the picture. My daughter is thrilled and we will use you again! Thank you! I will recommend you! I'm always apprehensive when using an online company for the first time, but I decided to take the chance anyways. When I received the dress from MillyBridal, The dress looked fantastic! Well done MillyBridal! I will definitely be using your website again!! Amazing shop! Impressive service! My transactions with MillyBridal have been very pleasant. They have an excellent customer service, also very fast and efficient! 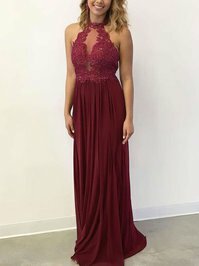 I will continue purchasing at MillyBridal because they process the orders in much less time than their competitors, and I am very happy with them.